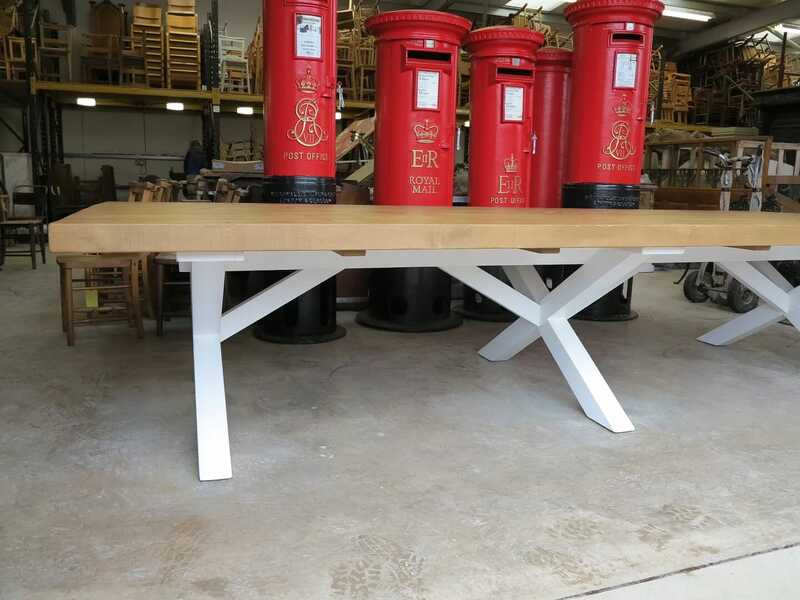 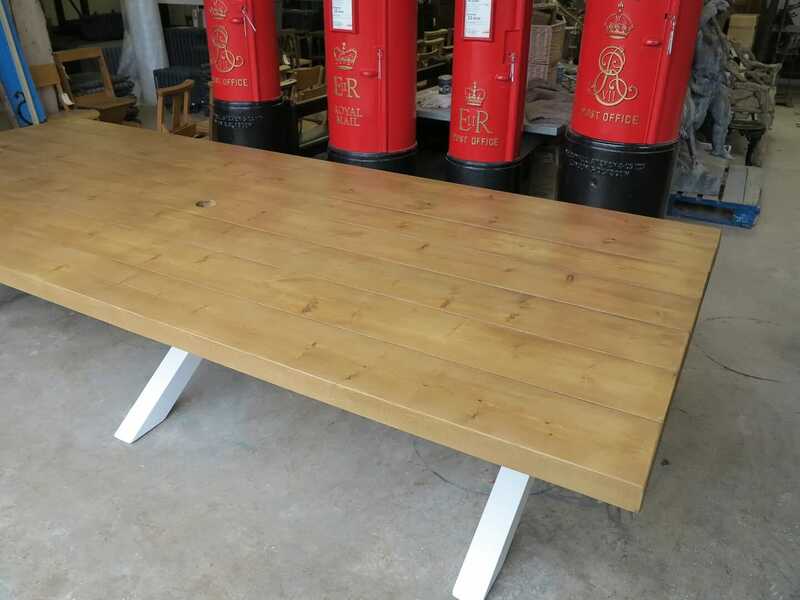 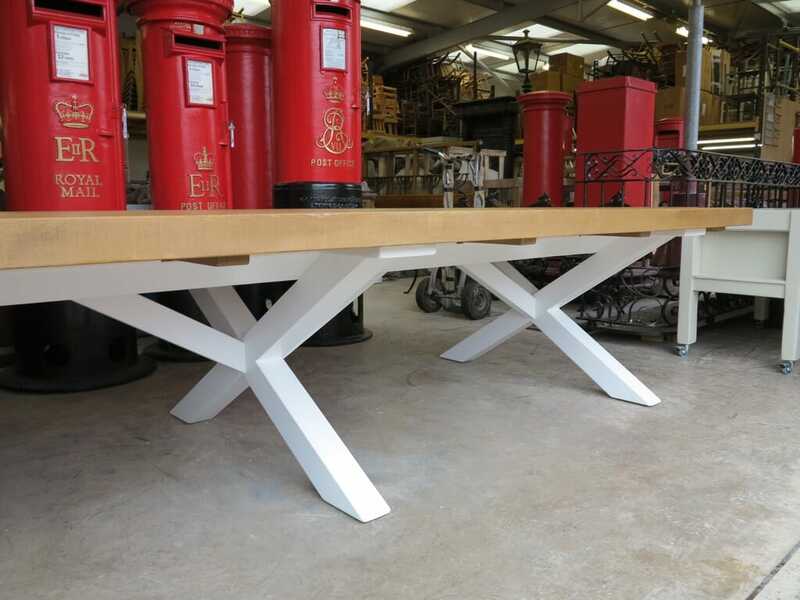 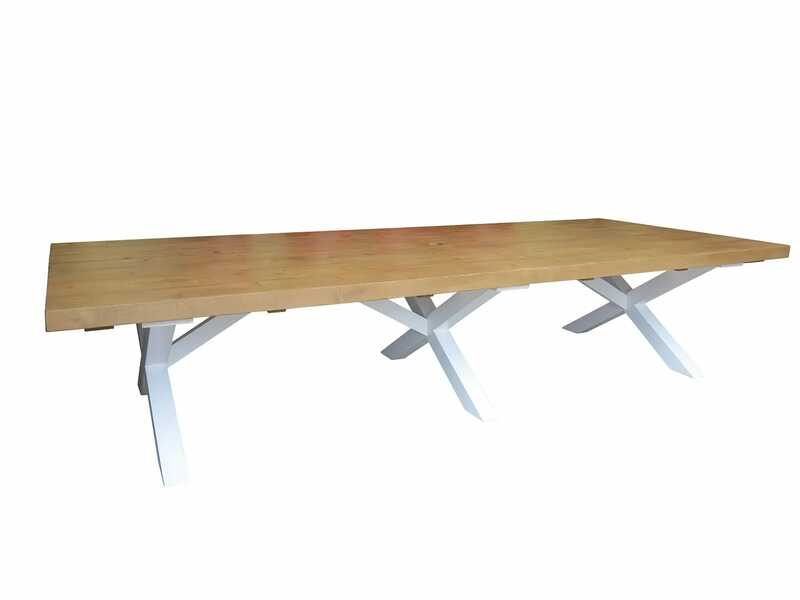 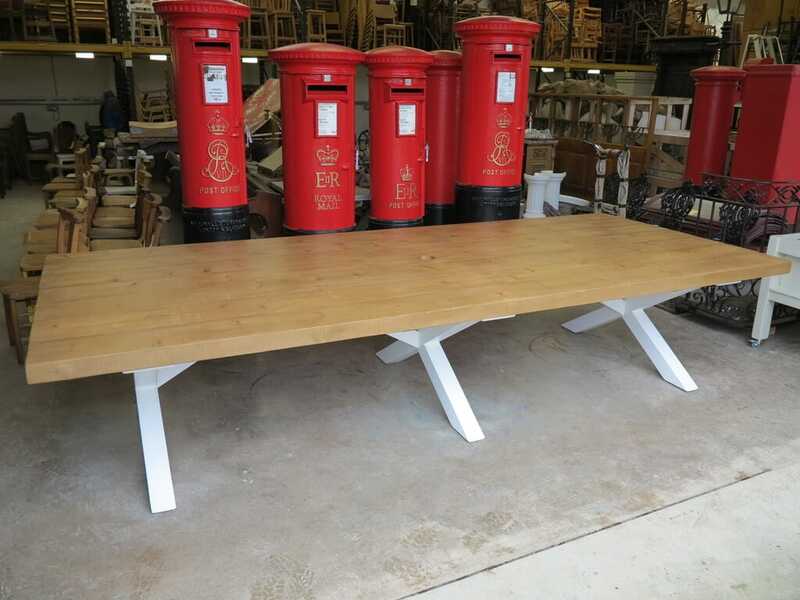 This particular thick top table has the specifications: 360cm x 150cm x 76cm tall with a 3" thick top, x frame base, square corners, stripped pine wax top, hand painted base with Farrow & Ball - All White. 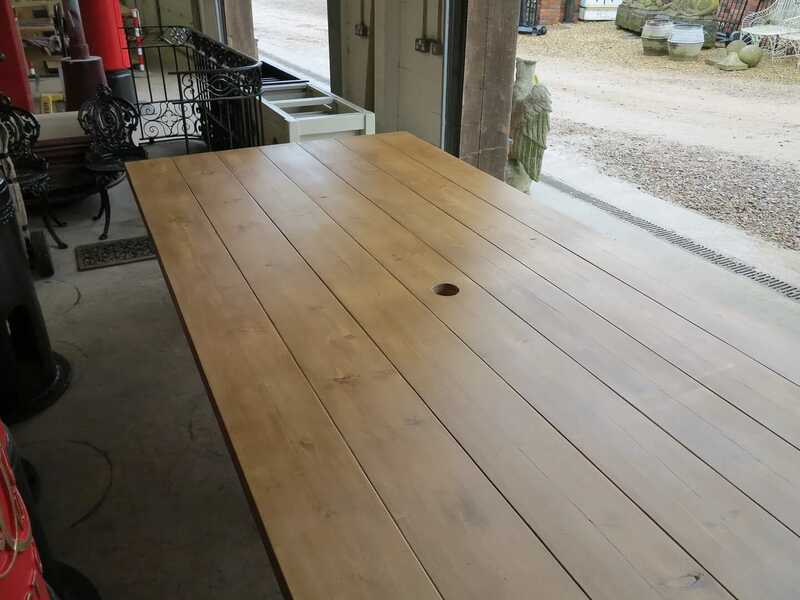 For the painted finish we will include the remaing paint for touch up. 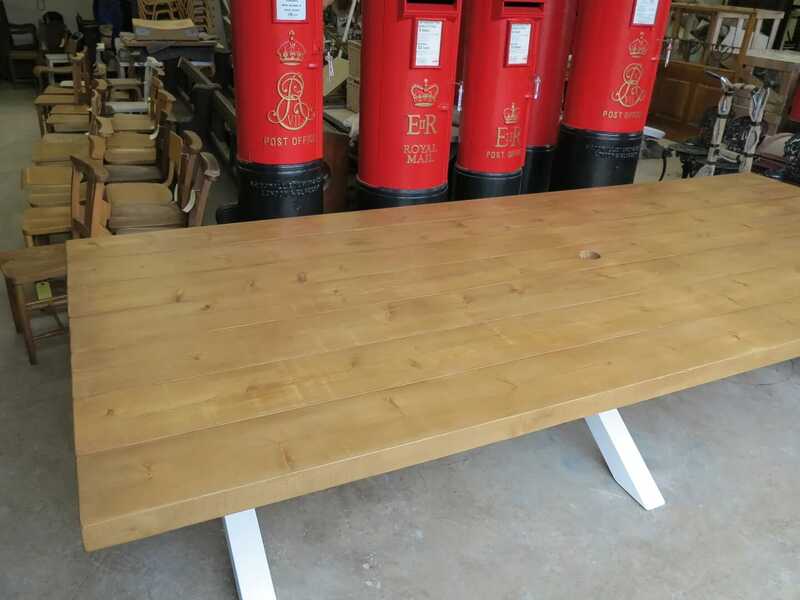 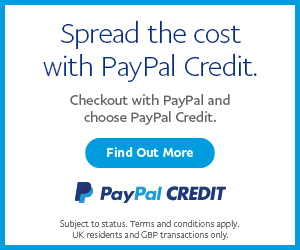 For the same price you can have this waxed in your colour of choice. 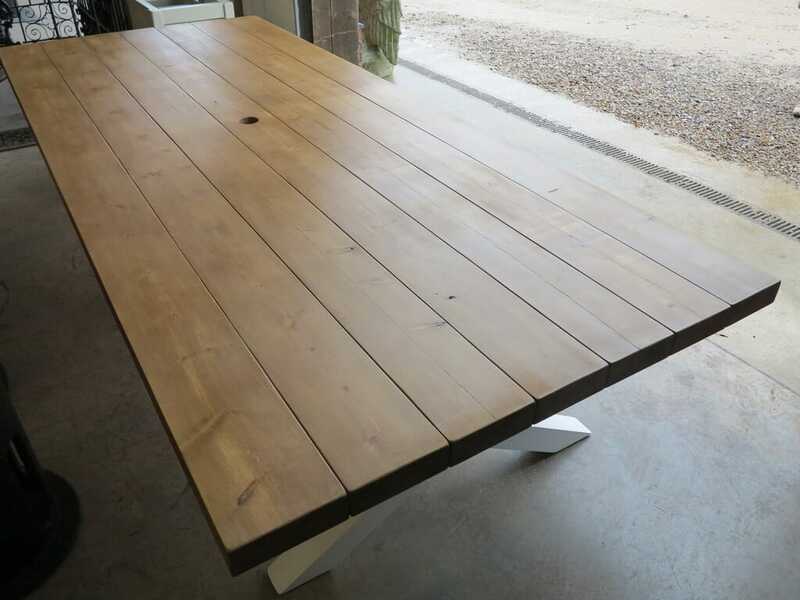 If you choose a waxed finish we will give you a mutton cloth and the remaining wax.